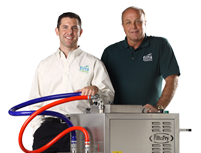 Filta Environmental believes it is our personal responsibility to contribute to the environment. We’re constantly in search of ways to be green internally and externally and strive every day to continue to do our part to preserve the environment. Every product and service that we offer goes through rigorous testing to ensure that we are increasing sustainability while saving our customers money. We believe it’s our responsibility to keep you aware of what you can do to contribute. Our Goal at Filta is to help build awareness on how consumers, restaurants and small businesses can run a sustainable restaurant, business and household. Unlike petroleum-based diesel, recycled vegetable oil does not emit sulfur dioxide (SO2), a major contributor to acid rain. Vegetable oil recycling yields approximately 80% less carbon dioxide than petroleum based diesel fuel and thereby contributes to the reduction of global warming. Vehicles that run on recycled vegetable oil based biodiesel produce approximately 50% less carbon monoxide than petroleum based engines. Recycled cooking oil also emits fewer cancer-causing particulates and polycyclic aromatic hydrocarbons (PAHs) than fossil fuel based diesel products. We appreciate our customers’ business and participation in our oil recycling program and we want our customers to be able to spread the word about the importance of recycling and sustainability.